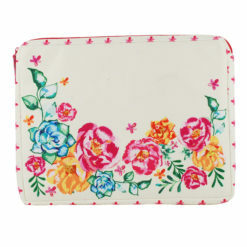 Purpose: To protects your laptop from dust and scratches. 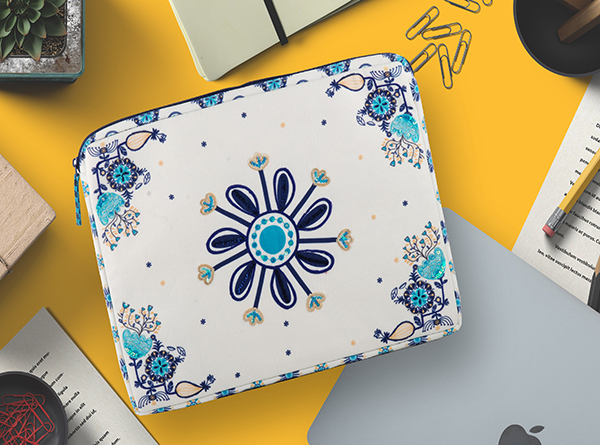 In today’s date, a laptop is a must have thing for everyone. 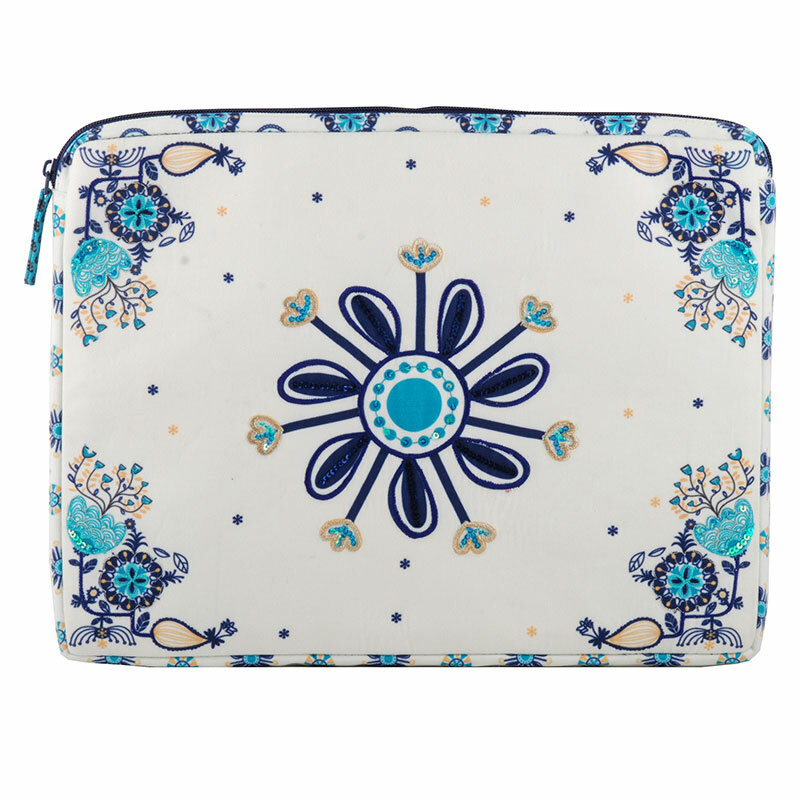 So your portable and extremely important device deserves a bit of pampering. No worries, Pinaken has got it covered. 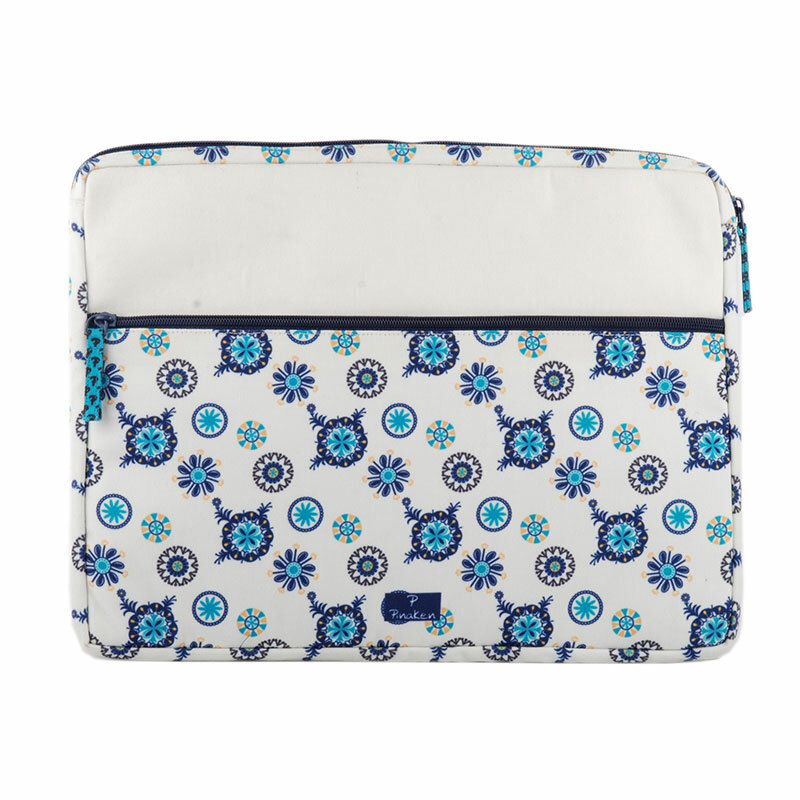 The Pinaken Monday Blues laptop sleeve protects your Laptop from dust, scratches, marks, stains and any other damages. 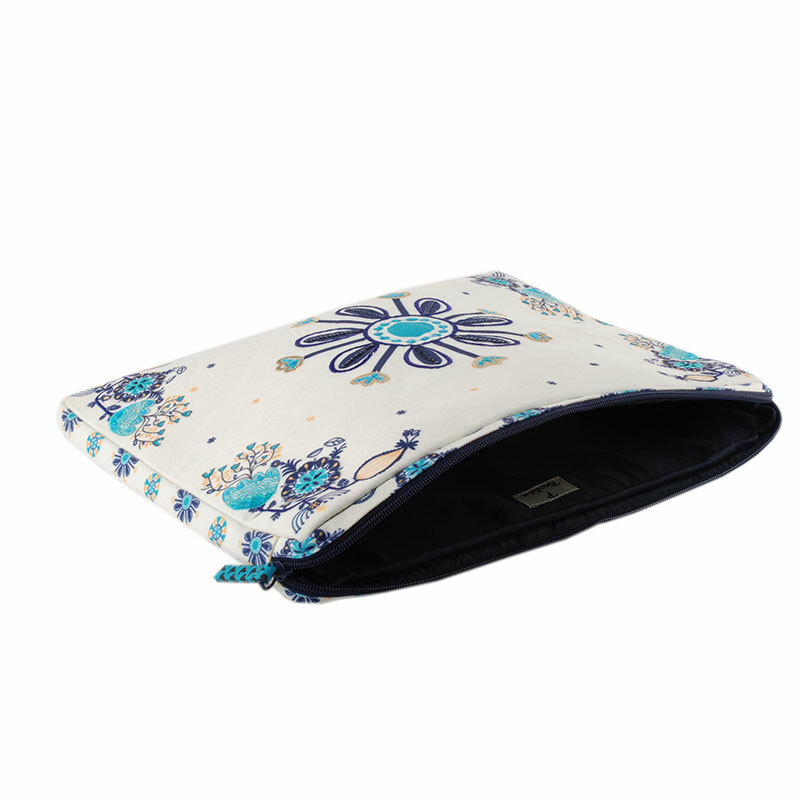 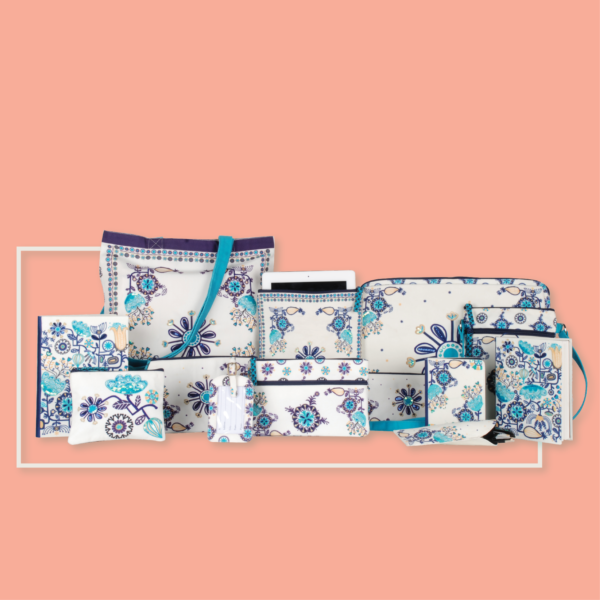 You get the new sleeve with tag which has two compartments with a zip and is compatible up to 13 inches. 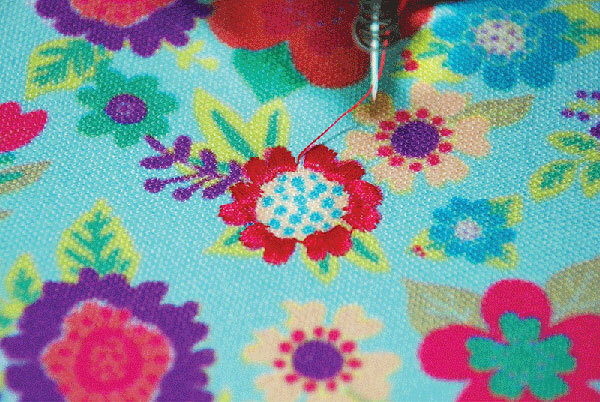 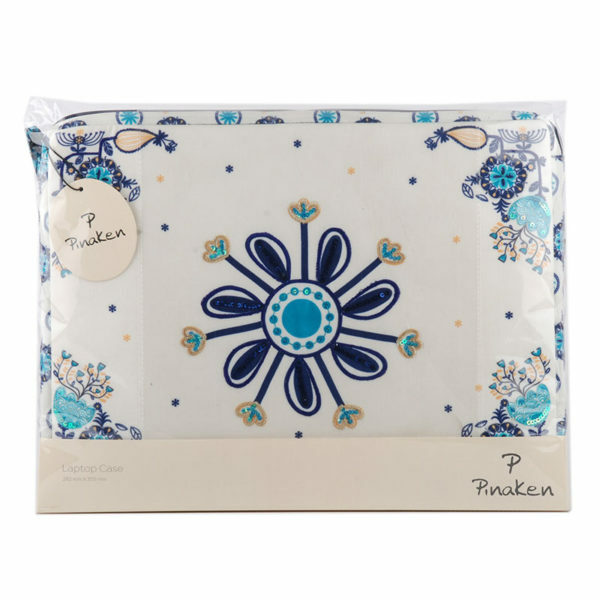 This pretty canvas sleeve is lovingly hand embellished and embroidered for you. 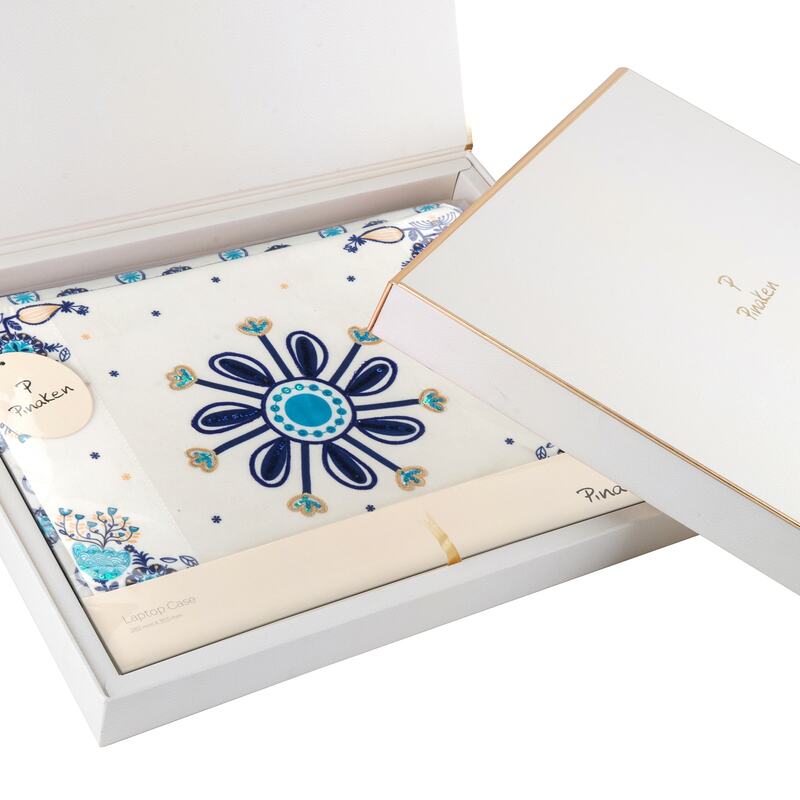 It comes with dimensions: 28 X 35.5 cm / 280 X 355 mm / 11” X 14” inches and will completely have a place in your heart. The Monday Blues laptop sleeve will make, both, you and your lappy, happy! 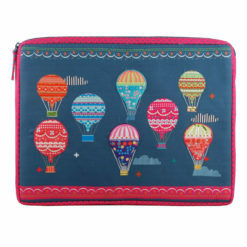 Imagine travelling with this super cool sleeve protecting your laptop, great, isn’t it? 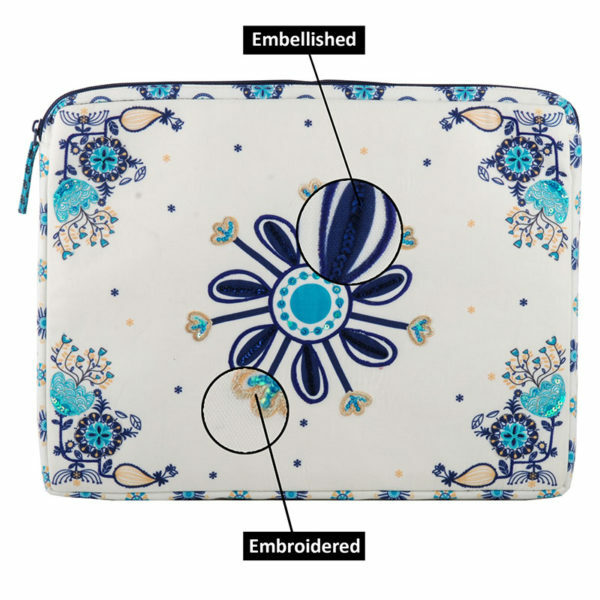 Use Pinaken’s laptop sleeve to protect your laptop from dust and scratches. It would not just keep it safe but would also enhance your laptop’s look. 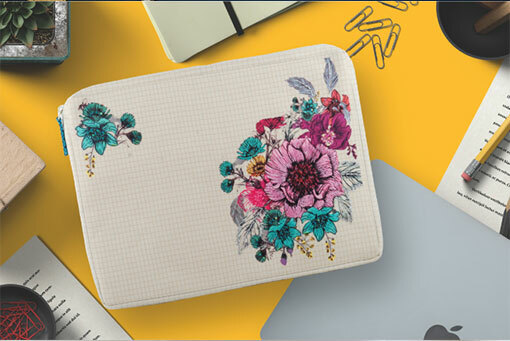 It comes with an extra sleeve at the back for a writing pad, pens and earphones etc. 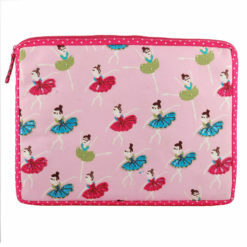 Our laptop sleeve is compatible to hold devices up to 13” inches. It is made from canvas material thereby is durable, flexible and long-lasting.